Look what I have finally got my hands on! I have been desperate to see my little piece in a real copy of Mollie Makes, but problems with the subscription mail outs, problems with the Royal Mail and then problems with our postman meant it only arrived this morning. It doesn't matter though it's here, and that can only mean one thing: a give-away! 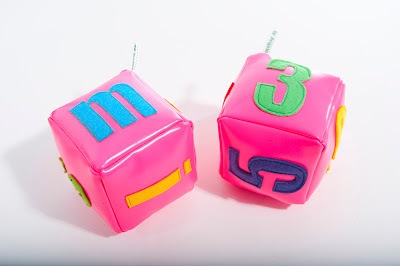 The Fluoro Dice as featured in this month's Mollie Makes is strictly limited edition but you can win a custom made dice before they disappear! You can see the article and my post here. If you would like to enter my give-away to win a Dice all you need to do is leave me a comment below; you can say anything you like or even not much at all! I will pick a winner at random next week and will make up a special Pink Fluoro Dice to your specifications - I can spell out names up to 6 letters maximum, have a wide range of symbols and shapes and of course numbers. The small print: Only one entry per person please. The competition will close at 7pm on Monday 23 July. The winner will be picked at random and announced on Tuesday 24 July on Twitter (@thisiswiss) and here on my blog. Open to everyone worldwide! Oh my goodness, I'd really love to win one! It just so happens that I have a little boy whose name has six letters in it. And I'd also love to see one in the real and explore it myself. 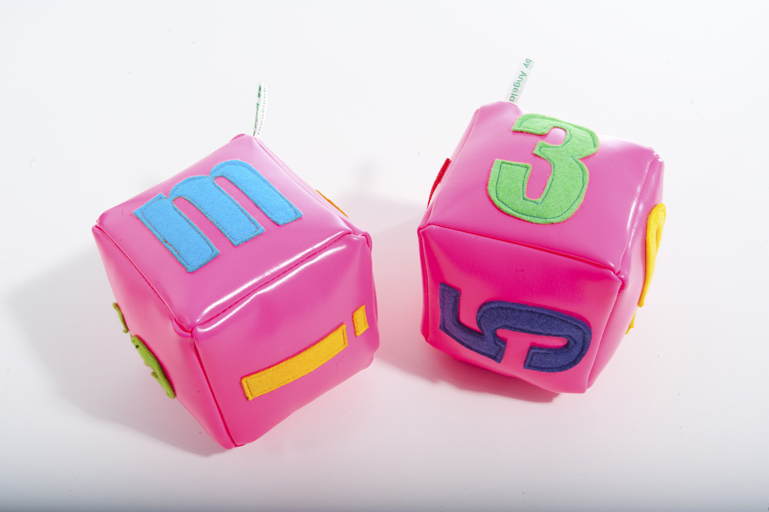 As the Mollie Makes feature seemed to be suggesting, I reckon these fab pink dice are not only for kids!